Superdry men’s Falster Fairisle crew jumper. 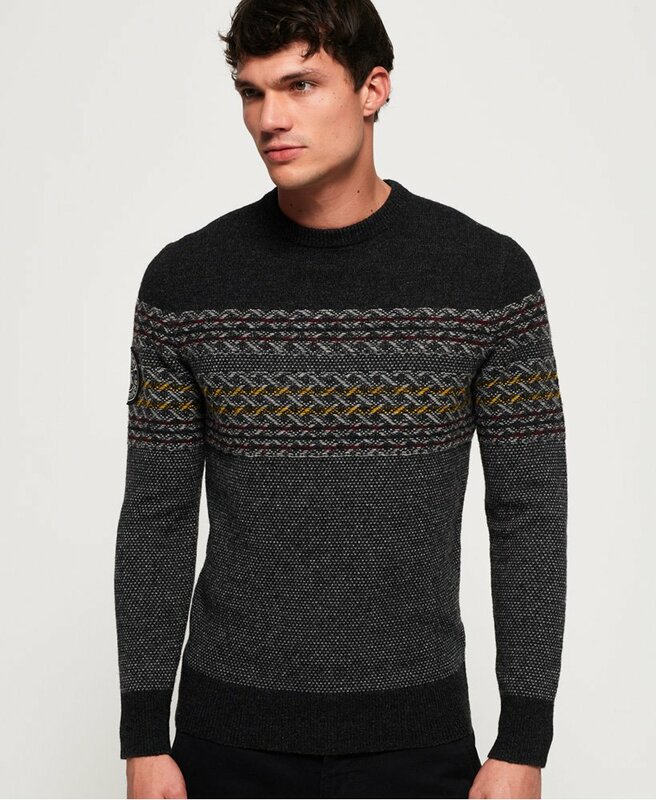 Perfect for those colder days, this classic fit jumper features a crew, ribbed neckline, a variety of patterns and completed with an applique Superdry logo badge on the arm. Layer it over a t-shirt and a pair of jeans or chinos.